We are please to inform you, our Irish New Year Celebration is returning this year! Join us for dinner & drinks! 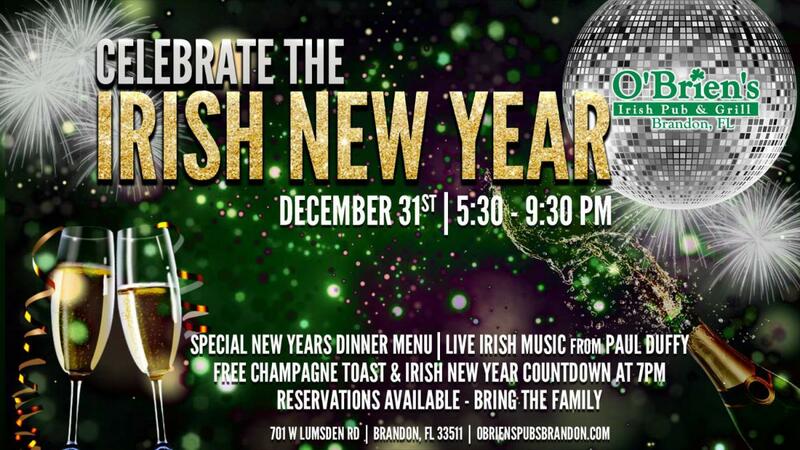 December 31st from 5:30 - 9:30 to ring in the Irish New Year! Call & make your reservation today, as we will fill up.